Recently I shared some insight on how to be friends with an introvert, because I know being friends with us sometimes-quirky introverted folks can be challenging if you don’t “get” us. 😉 If merely being friends with an introvert can be tricky for an extrovert, then parenting an introvert kid can be downright perplexing! All kids, regardless of personality, need parents to help them learn to effectively navigate the world. I’ve learned to embrace being an introvert, but school, church, and society in general tend to be set up for the extroverts among us. That can leave us introverts feeling left out — or worst of all, like there’s something wrong with us. 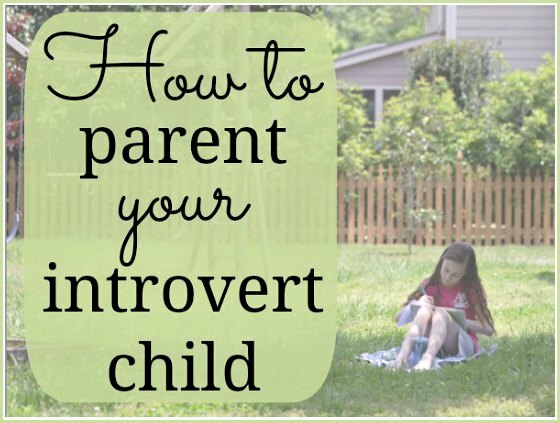 Because of all this, parenting an introvert child requires a different approach in some areas. I am an introvert, married to an extrovert, parenting both introvert and extrovert kids. This makes me experienced, but it does not make me an expert on YOUR kids. Every child is different, and I believe part of good parenting is studying each of our kids and parenting accordingly. Even within the same family, identical parenting techniques will not necessarily be best for all the kids under the same roof. All that being said, I’m sharing what I’ve learned from my own experience and from talking to fellow introvert parents and kids about their experiences. Contrary to popular belief, “meek” is not interchangeable with “introvert” and you’ll quickly find this to be true if you push them into a situation before they are ready. In general, the harder you push — particularly in regards to social situations — the more your introvert child will resist. Instead, be patient, calm, and encouraging. 3 – Help them remember positive situations. This will look different as kids get older, but essentially, when your child is nervous about some situation (first day of preschool, a dance recital, etc…), remind them of a previous similar situation that seemed intimidating at first but ended up being positive. 4 – Help them prepare. Find out all you can about whatever event/situation is coming up — such as who will be there, etc. — and prepare your child ahead of time. When plans change, let them know as soon as possible and don’t expect them to be delighted about it right away; they need time to digest the new information. Related: consider carefully before planning a big surprise; it may not go over as delightfully as you imagine. 5 – Get there early. Introverts love people, but we don’t usually like being thrust into big groups. Whenever possible, show up early to parties so your child can have a few minutes to chat with the guest of honor and a few other early arrivals before the rest of the crew gets there. This gives us time to warm up and focus on the individual people rather than feeling overwhelmed by focusing on the group as a whole. 6 – Teach them they are exactly how God made them. Although the world tends to love the extroverts among us (and I do, too! ), it’s often the introverts who become great leaders or writers or artists or inventors. Being an introvert is a gift. No better or worse than being an extrovert, just different. Your child doesn’t need to change; don’t let the world convince him/her otherwise. 7 – Encourage them to move past comfort zones. There’s no reason for an introvert to change who they are — but every person on the planet can strive to grow throughout life. We introverts can retreat into ourselves a little too much sometimes unless we receive encouragement to move past our own self-imposed comfort zones. But remember: encouragement is NOT pushing. 8 – Don’t put them on the spot. That moment the teacher calls on you even though you distinctly did NOT raise your hand. Going around the group to “share.” Charades in a group of people you don’t know well. Any “icebreaker” get-to-know-you activities. A parent or teacher expecting you to launch into an impromptu expository on any given subject. All of these = introvert torture. Remember that one about helping them to prepare? None of these situations allow for that. Yes, eventually we have to learn to deal with these things, but it doesn’t mean we’ll ever enjoy them. My friend Barrett teaches parents to walk their children through difficult peer-pressure scenarios by giving them scripts: suggested things to say to get out of those tough situations. That’s great practice for all parents and kids — but since introverts often aren’t good at coming up with what to say spur-of-the-moment, there are many opportunities to help an introvert child come up with ideas of what to say before any particularly awkward situation. Even after the fact, you can help kids think of things they could say the next time a similar situation comes up. 10 – Don’t push your own expectations on them. Extrovert parents: please don’t expect your kids to just jump into the fun, or into new situations. Understand that they are thinkers and that requires time and observation. This isn’t a bad thing; introverts’ brains just process things a little differently than you do. Introvert parents: even if you were picked on or had some other negative experience as a child, this does NOT mean your child will experience the same things. Please don’t set your child up to expect situations to go badly. I’m linking with List It Tuesday, hosted at Kris and Angie. Anyone who has been a parent for more than about 5 minutes has made parenting mistakes; it’s all part of the learning process. Parenting is totally learn-as-you-go on-the-job training! So don’t beat yourself, and hurray for working on learning more about your kids! Great post. I’m an introvert and so is my daughter. I try not to push her when she’s not comfortable with a situation (sometimes it’s hard when you have an outgoing extended family). But she is learning to speak up – which is a big step for her. It’s hard to learn to speak up! I’m 40 and still learning, so kudos to your daughter! Oh my – I’m the only introvert in the house. My hubs & all my kids are extremely outgoing & love being the center of attention in groups. I struggle to allow them to get into those situations simply because I’m personally uncomfortable with it. That is the hardest part- not holding them back because of my own issues. I hear you; the introverts in our house are outnumbered by the extroverts! Yes, thank you for this! I am an introvert and most of my kids are too, but we need to learn to step beyond that when necessary. I find it is crucial to feel healthy and energetic before I can be outgoing and do well in strange situations. We need to help our kids understand that and show them how to make their energy levels work for them. I’m zipping over to the introvert friend article, because I have an introvert friend and we often run out of things to say. Thanks for this! If you ever find an article on how to parent an “extrovert” child while being the “introvert” parent, let me know. 😉 Great article! I’m working on that because I’m totally in that boat myself! 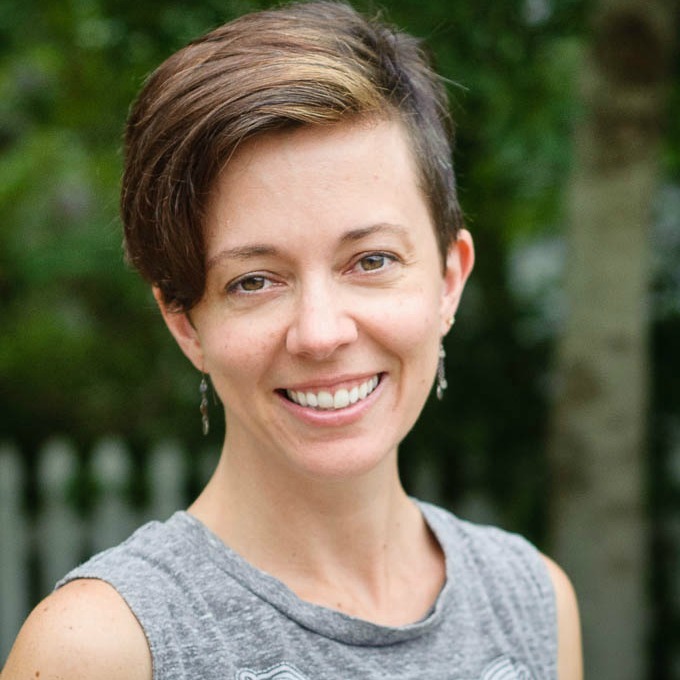 This might be a good start: How Understanding Personality Types Changed My Parenting. These are great tips. Get there early is so practical. Introvert me really dislikes walking into large groups. Now I know what to do. I don’t think any of our children are introverts, LOL. They take after my DH who is quite the extrovert, or extravert as you like to say. Thanks! Well, since we homeschool I haven’t had that issue. I do think it’s very hard for some people to understand introverts, but maybe it’s worth a heart-to-heart with the teacher to make sure there’s nothing going on that you don’t see at home? Or a chance to gently open her eyes to the world of introverts?